Today, the Empire State Development Corp (ESD) approved the extension of the contract of its environmental consultant so as to provide the ESD and its consultant time to respond to the overwhelming public comments that the ESD has received, which the ESD acknowledged was a record number of comments for any project it has ever had. The ESD also announced that the Final Environmental Impact Statement (FEIS) will not be issued until the 2nd quarter of the year. Their prior schedule was to issue the FEIS in the first quarter of the year. At the ESD Board Meeting today, Belmont Task Force member Jessica Alfonsi and Village Administrator Gerry Bambrick argued that delaying the FEIS was not enough and, given the many deficiencies in the Draft Environmental Impact Statement (DEIS), the ESD should go back a step and re-issue a revised DEIS and allow a new round of comments on the revised DEIS. Certain ESD Board members appeared sympathetic to this position, but no action was taken today. It is clear that the residents of this Village are having an impact. The Village submitted over 2000 letters to date raising issues with the planned development. I want to thank the members of the Belmont Task Force, led by Deputy Mayor Kevin Fitzgerald, my fellow Trustees, Village Staff, and all of our residents and business owners who submitted letters, spoke at and attended the meetings and worked together with the Village. However, our work is far from done. The deadline for submitting comments to the DEIS is still Friday March 1st extension letter from ESD. If you do not wish to write your own letter, you can still help by signing the four form letters we have prepared regarding various problems with the Project. You can obtain copies here Belmont Letters and sign and drop off the letters at Village Hall. The Village and the Belmont Task Force will continue to monitor the situation and bring you updates as they occur. Since the conclusion of the Hearings on the Draft Environmental Impact Statement (DEIS) for the proposed Belmont Project, a significant amount has happened. 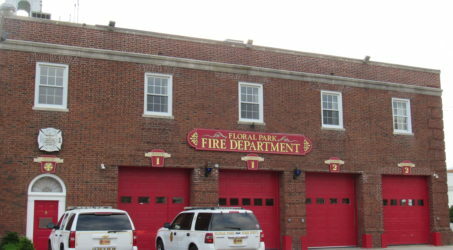 First, it seems the more this Project is studied, the more concerns about the wide-ranging negative impacts and the lack of real proposals by ESD to offset the negative impacts are becoming apparent to many others outside the Village of Floral Park. I want to thank the NCVOA for taking a close look at the proposal. As is apparent from their resolution, it is clear that they believe that this Project as proposed, without any concrete infrastructure improvements, will have negative effects throughout Nassau County and especially western Nassau County. 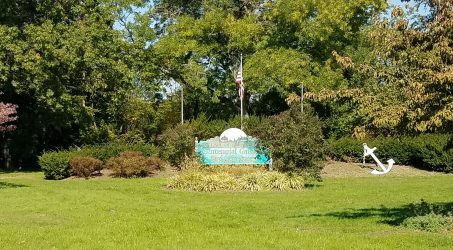 We are happy that Nassau County recently announced that the County DOT will expand a review of the traffic impacts of this Project in the Elmont area in response to the legitimate concerns raised by the Belmont Park Community Coalition (BPCC). LI Herald Article We think this is a great result achieved by the BPCC. But we believe the scope of the study by the County should be expanded to analyze the impacts in all of western Nassau County, just as NYC is doing on the Queens side. Clearly, as reflected by the NCVOA Resolution, other villages in Nassau County are concerned by the detrimental impact that this Project may have. Granted, this study is something the ESD should have incorporated into their DEIS, but, unfortunately, the traffic study that underlies the DEIS has significant deficiencies as identified by the Village’s outside independent traffic consultant, NV5. The Village has also asked the Town of Hempstead Board Ltr to Sup. Gillen and the Nassau County Planning Commission Ltr to Planning Commission to exercise the jurisdiction granted to them under the Urban Development Corp. Act (“UDC Act”) to recommend either rejection or modification of the Belmont Project, as currently proposed. The effect of a recommendation of rejection or modification will have would be to trigger a 2/3rd majority vote by the ESD Board of Directors to approve the Project ( rather than a simple majority). 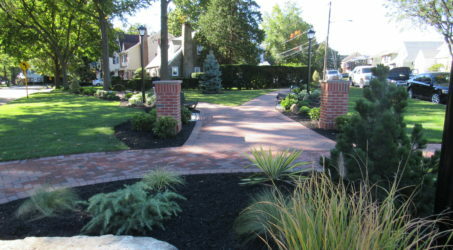 Consequently, although a recommendation by the Planning Commission or the Town of Hempstead Board would not be enough to stop the Project, it would send a clear message that the municipalities impacted by the Project believe it needs to be re-thought, or, as Nassau County Presiding Officer Rich Nicolello stated at the hearings on the DEIS, this Project needs to go “back to the drawing board”. Finally, we are glad that the ESD acted on our request and has extended the time frame in which to provide comments to the DEIS to March 1st DEIS Extension Notice. Consequently, there is still time to submit your comments to the ESD about this Project. Please see the Village website for more information. Belmont Updates. If you do not wish to write your own letter, you can still help by signing the four form letters we have prepared regarding various problems with the Project. You can obtain copies here Belmont Form Ltrs. and sign and drop off the letters at Village Hall. To date we have collected over 2,000 letters from your neighbors that we have sent to elected officials and will be submitting en-masse to the ESD as part of the Village’s comments to the DEIS. Once again our residents have responded as they have always done when Floral Park faces a challenge: we have come together and presented reasoned yet forceful analysis of proposals that can negatively impact our Village. On behalf of the Village Board, I want to thank you for rising to the challenges we face.